Perron Rigot, inventor of the “Original” patented Cirépil Blue Non Strip wax, continues to be a leader in the non-strip wax category. Applied in ultra-thin layers and removed without strips, these waxes are available in a variety of textures, all formulated to provide exceptional depilatory results. Cirépil No-Strip waxes are ideal for the most sensitive parts of the body yet can be used on all body areas. Waxing with Cirépil is fast! A small amount of wax goes a long way. Less time is needed to wax large areas of the body. Requiring less time allows you to service more clients! You will be amazed at the quick drying time of Cirépil non-strip and strip-waxes; apply and remove. It cannot get any faster! Put away the tweezers and say goodbye to retouching! With proper application, there are no excess hairs, no waxy residue and no stickiness left behind. 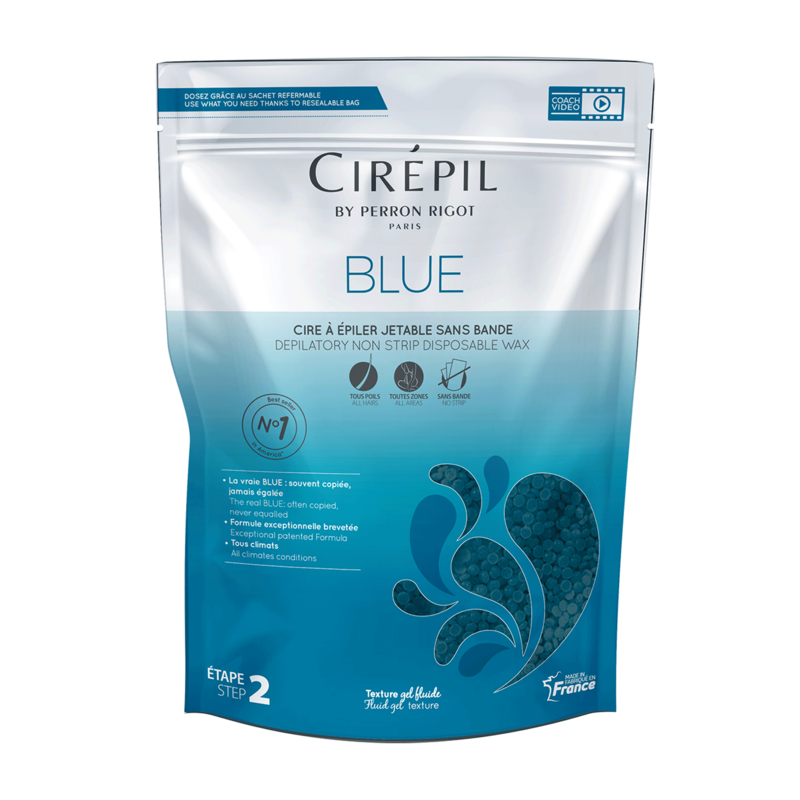 With Cirépil by Perron Rigot, simply complete the service with an application of After Wax Refreshing Gel! Ethylene/copolymer/elastomer, Rosin, Beeswax, Glycerol Rosinate, Lanolin, Ethylene/VA copolymer, Triethanolamine, Technical hydroabietyl alcohol, FDC blue. "If you want the best, this is it. The company will even do training classes!" "This is still by far my favorite wax." "This was is the best wax I have ever used. It comes off cleanly and doesn't take off the skin. It's super gentle. It even takes off super short shaved hair off the legs and under arms. I highly, highly recommend this product! And on another note it doesn't smell like sap off of a pine tree, huge plus for me."